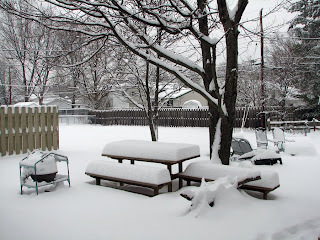 It has been no fun at all lately as we have accumulated way too much snow for my liking. The "North Coast" has been more like the North Pole. Friday morning we were up before five as we prepared to take Donna in for her cataract removal and lens replacement. In the past Donna has not fared well with surgery. Although we are very careful to select the most highly recommended surgeons available, she has consistently been among the 10% that have complications or less than expected improvements. We had a lot of doubt and concern going into this. It seems everything at the surgery center was running behind schedule so we were there much longer than we had expected. It was well into the afternoon before we got home and settled. By the time we were both exhausted. The heavy snow starting before we got home Friday and continuing all day Saturday. Then Saturday morning we went sledding in my car back to the doctors office for a followup. Everything appears to be very, very good. Sunday we both slept in and missed church, then made a much needed trip to get groceries and grab a bite to eat. Sitting at the pub Donna looked up at the TV and read the score of the playoff game without glasses while I could not see it clearly with mine on. We are very enthusiastic. I did spend a little time over the weekend writing up clues for a few letterboxes that I will put out whenever the weather will permit. I can't take the cold anymore with my stressed out heart, so nothing is likely to occur until it is above freezing. The one I will probably plant first is "Berea - Its a Lou Lou". Lou Groza was a Berea resident for many years. He and his estate have provided significant funding to Berea city recreation so this seems appropriate. 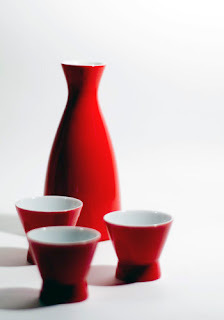 The weather we are having now reminds me of the years we spent in Northern Japan. 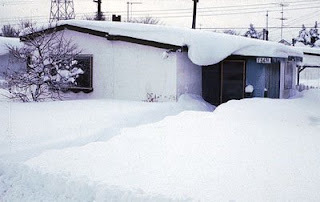 We were in Misawa, which gets a lot of snow. They have an annual snow festival which, although much smaller the the one in Sapporo, is still a lot of fun. But that is in February so I will save it for another day. This time of year friends and coworkers would often gather together to watch the sumo matches on TV while enjoying snacks, primarily sushi and sashimi, and drinking warm sake.The winter sumo matches start on a Saturday and continue for two weeks (actually 15 days) ending on a Sunday. The upper division matches, which are televised, start each day about 4:00 p.m. 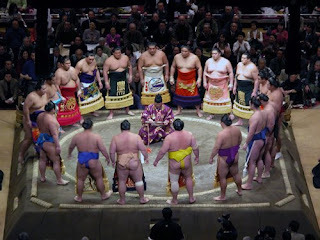 This years Sumo Basho (tournament) started yesterday and will continue through the 25th. I met Lou Groza a few times. He used to come into the pharmacy when I worked there. He was quite a local celebrity.